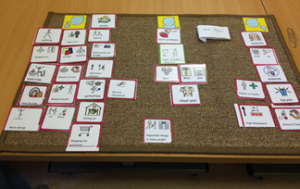 Many thanks to Cheryl Strutt for this lovely blog about how she developed and used an Aromatherapy Talking Mat with people with learning disability. I am an Aromatherapist who works with adults who have a learning disability and often additional communication difficulties. As part of a recent service review I wanted to develop patient involvement. Talking Mats (TM) was suggested as a possible option to support patient feedback. I decided to look into this tool further and access training. During my TMs training I was supported to develop my specific Aromatherapy TM. The main aim behind this initiative was to adopt a system that could identify how each patient felt about the service and identify if there were areas where changes or improvements could be made. I wanted to work closely, alongside each patient, in order to learn how they really felt about their Aromatherapy treatments, their likes/dislikes etc. and to give them a sense of ownership of their sessions. It’s all about giving individuals with a communication difficulty a voice that can be heard. The Aromatherapy TM supported patients to understand what is involved in an aromatherapy session and has been effective in helping them to personalise their session. I used the Aromatherapy TM within the patient’s first session and following their last session, taking a photograph of the completed mats as evidence. The TM is an excellent way of offering a range of different types of massage experience and the patient can select their preferences. I found it an excellent way, to obtain valuable feedback on patient experience. One patient with a severe learning disability and autism was able through the use of symbols, to indicate his dislike for the music being played during his Aromatherapy session. He has no verbal means of communication and feedback like this would not have been achieved if the Aromatherapy TM wasn’t used. Through the implementation of the TM I now have evidence of patient centred practice, in relation to the therapeutic value of the Aromatherapy Service. The Aromatherapy TM supported patients to understand what is involved in an aromatherapy session and has been effective in helping them to personalise their session. Since the implementation of the Aromatherapy TM, patient feedback is now at the heart of the Service. The patient is now able to openly give comments, make choices on their treatment plan, which in turn is making their attendance at the department, a very pleasurable one and it’s very personal to the individual. Another patient who said that he wasn’t able to read or write, was able to explain what the symbols meant and chose the symbol for happy. He went on to indicate his preferences stating ‘I like foot-spa and a foot massage.’ Prior to using the TMs, I was often reliant on observing the patient’s body language to assess their level of enjoyment and gain feedback. The Aromatherapy TM now allows for a more accurate method of evaluating interventions. I am so enthusiastic about the increased level of patient involvement and the willingness of the patients to become involved in this activity. This project clearly demonstrates the value of involvement, leading to improved partnership working and better experiences. This entry was posted in Blog, Communication difficulties, Learning disability, Participation, Self management, Training and tagged Communication difficulties, Learning Disability, Participation, Personalisation, Talking Mats on January 27, 2017 by Joan Murphy. To actively involve the residents of the dementia specific unit in the decision making process around their dysphagia (swallowing) management particularly at the end stage of their lives. In order to find out the food and drink preferences and dislikes of the residents, the team carried out staff questionnaires and family questionnaires. They found that, although these were useful in getting a quick overview, there were a lot of unanswered questions. The team also used Talking Mats and found it to be a powerful way to explore the residents’ food and drinks preferences and dislikes when used with suitable candidates. Participants appeared to really enjoy the experience including looking at pictures of the completed mats afterwards. This may be because they felt heard, that their views mattered and/or that they felt empowered. The information was important for current Dysphagia management, and also as an advanced directive in the documented evidence of the residents’ wishes in the recorded pictures of completed mats. 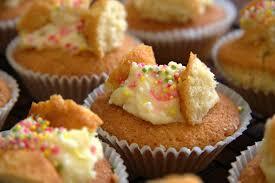 Brief Case Study: Does he like fairy cakes? 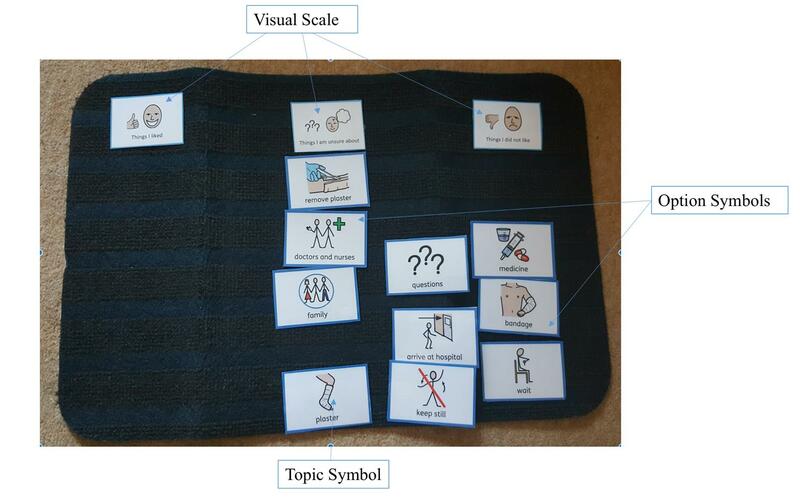 Talking Mats was used with a gentleman who may have been assumed to be unsuitable to use Talking Mats as he was assessed as having late stage dementia. However, this man engaged readily in the Talking Mats interview and appeared to be happy to have his views recorded. Also, there was a much higher level of correlation than variance with Talking Mats and both the staff questionnaire and the family questionnaire thus further indicating that he was a suitable candidate. ‘Fairy cakes’ was something that this resident reportedly liked in both the staff questionnaire and the family questionnaire. However, the gentleman indicated twice on Talking Mats that he disliked fairy cakes. Continue to use Talking Mats as appropriate in the dementia specific residential unit and the rehabilitation wards of St. Mary’s Hospital. Inform the multi-disciplinary team of the merits of Talking Mats. This tool can also be used to explore other important issues for suitable residents/ patients on a case by case basis. It is essential to challenge our assumptions in our dealings with people with dementia. Truly person centred care takes time and patience where assumptions are challenged. Also, it is essential to listen to what residents tell us verbally, or through a supported communication system such as Talking Mats or non-verbally through tone of voice, facial expressions or gestures, and to act according to what is being communicated. This entry was posted in Blog, Dementia, dysphagia, Eating and drinking, Participation, Personalisation and tagged Dementia, Participation, Personalisation, Talking Mats on January 20, 2017 by Lois Cameron. Many thanks to Greg Cigan for this great blog about his study that explored how children and young people with an intellectual disability feel about undergoing clinical procedures. A clinical procedure is any activity performed by a healthcare practitioner to diagnose, monitor and/or treat an illness such as blood pressure testing, x-rays and other scans (Cigan et al., 2016). While some procedures cause no pain or only mild discomfort when completed, others can be prolonged and potentially painful (Coyne and Scott, 2014). Children and young people with an intellectual disability are more likely to develop physical illnesses including epilepsy and digestive disorders than the general population and can be frequently required to undergo healthcare procedures (Emerson et al., 2011; Short and Calder, 2013). Yet, there is currently little empirical research reporting how children and young people with an intellectual disability experience procedures (Peninsula Cerebra Research Unit, 2016). More research is required so that healthcare services can better understand the needs of children and young people with an intellectual disability (Oulton et al., 2016). As part of my doctoral studies at Edge Hill University, I am conducting a study that explores how children and young people with an intellectual disability experience having a clinical procedure. From the outset of the study, I felt it was important to obtain data directly from children and young people rather than relying on parents and carers to speak on their behalf. I was keen to adopt methods during interviews that would enable as many children and young people as possible to take part, including those who find verbal communication challenging. After researching different methods, I chose to utilise Talking Mats as the innovative design of the tool offered children and young people the option to express their views entirely non-verbally should they wish to by arranging symbol cards. To date, I have interviewed 11 children and young people about their experiences of undergoing procedures. Each participant was between 7-15 years of age at the time of the interview and had a mild to moderate intellectual disability. Prior to an interview beginning, I spent time describing and showing each child/young person a Talking Mat and asked whether they would like to use the tool during their interview. Out of the 11 children and young people I have interviewed, three used a Talking Mat. Those that chose not to use the tool were older children who were confident having a verbal conversation with me or those who had a visual disability and could not see the symbols. In all cases, the decision of the child/young person in relation to using the Talking Mats was respected. The three children who used the Talking Mats were able to express their views non-verbally and also seemed to convey more information than some of those who chose not to use the tool. Viewing the symbol cards within a Talking Mat appeared to help children and young people break down information into smaller chunks which then made it easier for them to process and discuss. Indeed, using a Talking Mat led all three children to discuss information that was new to their parents who sat in while s/he was being interviewed. An example of a completed Talking Mat is shown below which was created by an 11-year-old boy during his interview. The boy clearly expressed that he did not enjoy his experience of having a clinical procedure. Within my study, I feel using Talking Mats has helped to augment the verbal communication of some of the children and young people which in turn enabled them to take part in interviews and share their views and experiences of procedures. Talking Mats are a valuable tool for researchers working within the field of intellectual disabilities. If used more widely, Talking Mats has the potential to enable more children and young people with intellectual disabilities to have the opportunity to be involved and express their views within healthcare research. CIGAN, G., BRAY, L., JACK, B. A. and KAEHNE, A., 2016. “It Was Kind of Scary”: The Experiences of Children and Young People with an Intellectual Disability of Undergoing Clinical Procedures in Healthcare Settings. Poster Presented at the 16th Seattle Club Conference (Awarded Best Poster Prize), 12-13 December. Glasgow: Glasgow Caledonian University. COYNE, I. and SCOTT, P., 2014. Alternatives to Restraining Children for Clinical Procedures. Nursing Children and Young People, 26(2), pp. 22-27. EMERSON, E., BAINES, S., ALLERTON, L. and WELCH, V., 2011. Health Inequalities and People with Learning Disabilities in the UK: 2011. 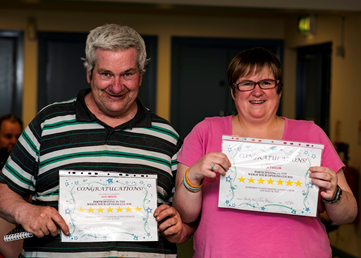 Lancaster: Improving Health and Lives: Learning Disabilities Observatory. PENINSULA CEREBRA RESEARCH UNIT, 2016. What’s the Evidence? Reducing Distress & Improving Cooperation with Invasive Medical Procedures for Children with Neurodisability. Exeter: University of Exeter. SHORT, J. A. and CALDER, A., 2013. Anaesthesia for Children with Special Needs, Including Autistic Spectrum Disorder. Continuing Education in Anaesthesia, Critical Care & Pain, 13(4), pp. 107-112. This entry was posted in Blog, Children and young people, Communication difficulties, Learning disability, Participation and tagged AAC, Children, Communication difficulties, Learning Disability, Participation, Research, Talking Mats, Young people on January 13, 2017 by Joan Murphy.